This is one of the more successful products created by Design Logic, a product design company whose records I’m currently processing. 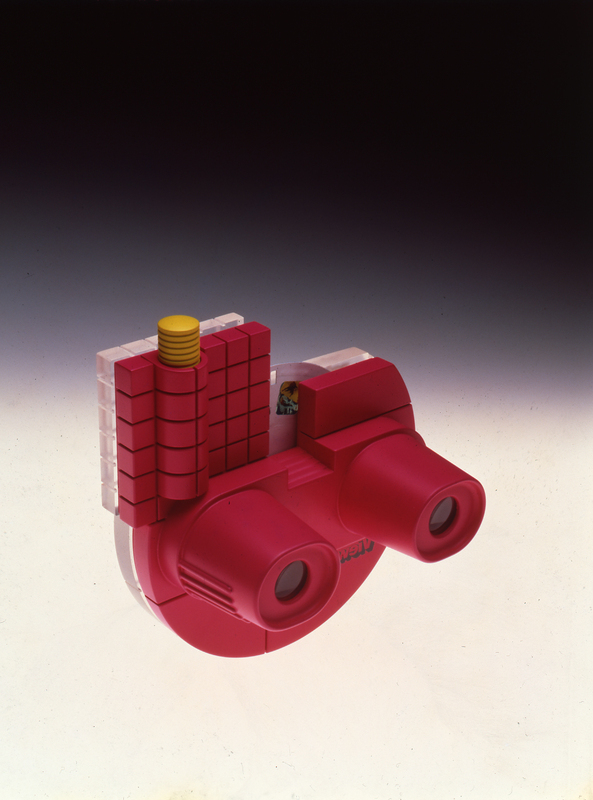 This View-Master 3D Viewer was a new take on an old, familiar product, and reflected the company’s philosophy that every product has both a technical and emotional element. This new version, created in 1985, featured “push-button technology,” and larger image magnification to make it more technologically competitive with other toys of the era, while maintaining the overall look of its predecessor. Time magazine named it one of the best designs of the year. Design Logic was founded in 1985 by Cranbrook Art Academy graduate David Gresham, and Martin Thayer, a Royal College of Art graduate; the two worked together at ITT Corporation. Operating out of Chicago, the mission of the company was to “create designs that are functional, beautiful, profitable and based on a distinctively American perspective.” The company is no longer in business. Once the processing of the Design Logic records is complete, a finding aid will be posted on our web site and more images of their creative, unusual products will be in our digital database, so keep an eye out! Cranbrook Archives/ Mary Ann Lutowski Papers. Most people at Cranbrook have heard of Harvey Croze (1904-1973). From 1944-1970 he served as the primary photographer for the Cranbrook Foundation. During his tenure here, he produced thousands of photographs, ranging from sculpture and architecture to photographs of school athletics, parties, dances, and any number of other events. He was particularly beloved by the Cranbrook Kingswood students for his jovial personality and sense of fun. He even wrote a song called the “Cranbrook Waltz” in 1953. 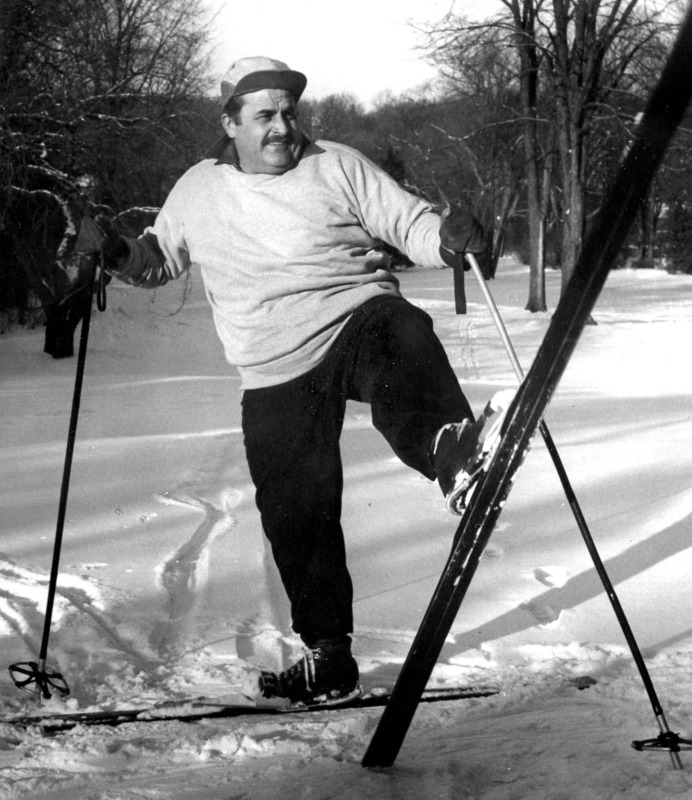 Croze was born in Houghton, Michigan. 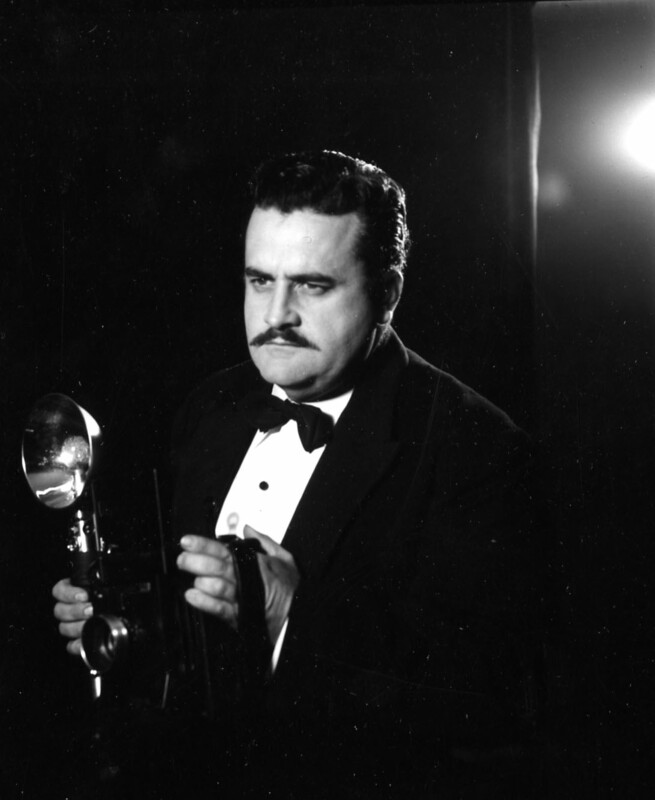 Short and stocky, he sported a big, black mustache and a Leica camera. A former long distance swimmer who tried out for the 1938 Olympic team (but did not make the cut), Croze was a painter, actor, and Dominican Republic sugar plantation supervisor before photography became his profession. He studied modern design and photography with Nicholas Haz, took a photography course with Laszlo Moholy-Nagy at the Chicago Institute of Art, and studied photographic techniques with Ansel Adams in Colorado. He acquired his photo processing skills when he worked as an apprentice in the darkrooms of Chrysler and General Motors. And, he served on the executive committee of the Auxiliary War Photographer Service where he shot publicity photographs for the Red Cross and the service men at the USO centers during World War II. 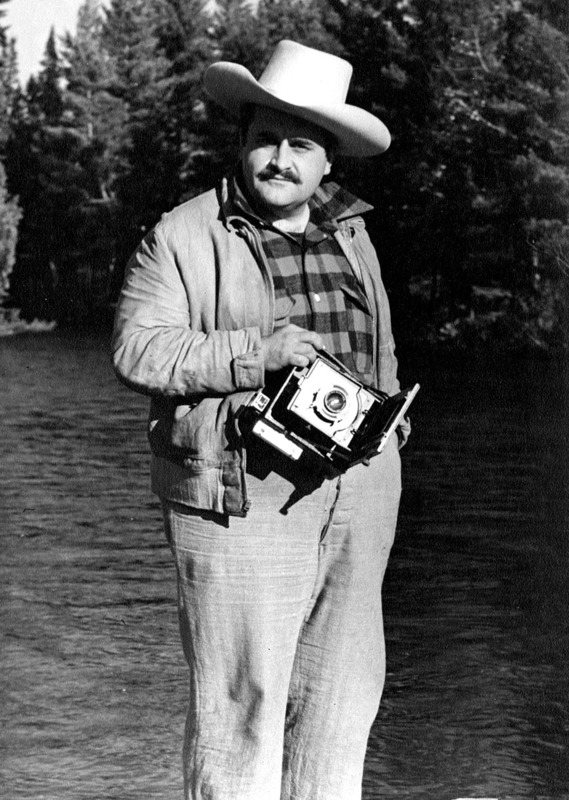 The third of the Cranbrook Foundation staff photographers, Croze was hired in Dec 1943 as photographer and operating manager of the Cranbrook Photo department. 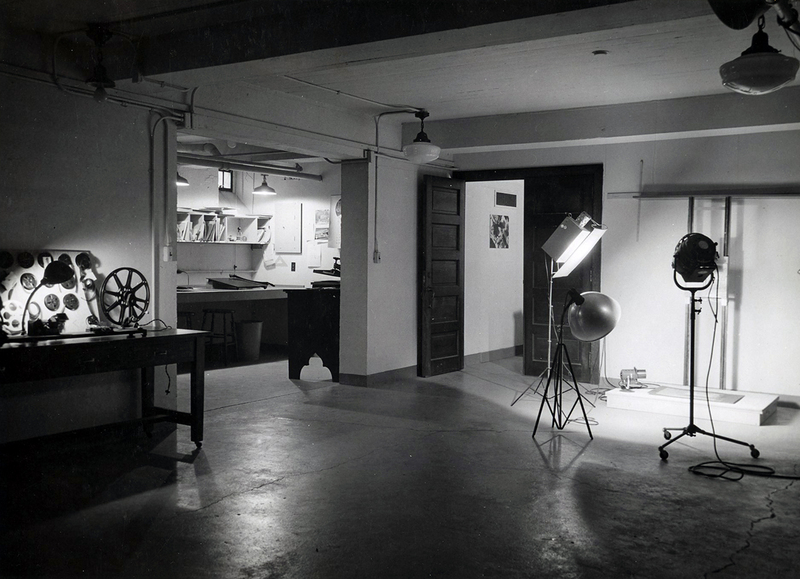 Located in the basement of the Academy of Art Administration Building, the department provided a convenient service to the institutions and in order to provide photographs for press releases, the photo department was available 24 hours/7 days a week. Not only did Croze take photographs and process them with his assistant Agnes LaGrone, he also taught photography to Academy of Art students and ran his own photography business on the side, primarily catering to Cranbrook-related artists. During his 27 years at Cranbrook, Croze photographed many well-known celebrities including Carl Sandburg, Frank Lloyd Wright, Basil Rathbone, and General MacArthur. Cranbrook Photo Department, 1940. Richard G. Askew, photographer. Croze was also nationally recognized for his photographs and exhibited at the Detroit Historical Museum, the Flint Institute of Arts, and the Smithsonian as well as numerous one-man shows here at Cranbrook. In 1945, he won fourth prize in the San Francisco International Color Slide Salon and in 1960 was awarded a prize in the U.S. Camera magazine photo contest. In June 1970, Croze’s impending retirement as well as financial deficits of the department led the Cranbrook Foundation to close the photography department. The photographic files were transferred to the Cranbrook Archives where they remain today. 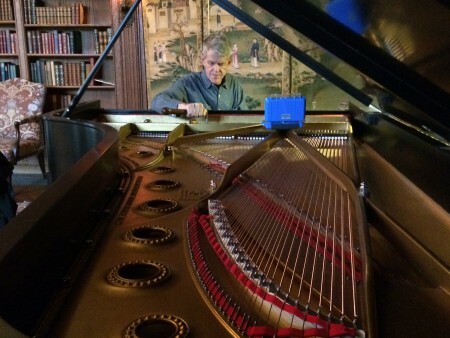 Hugh Gulledge patiently tunes the piano in the West Wing Library of Cranbrook House. Photographer: Gretchen Sawatzki. 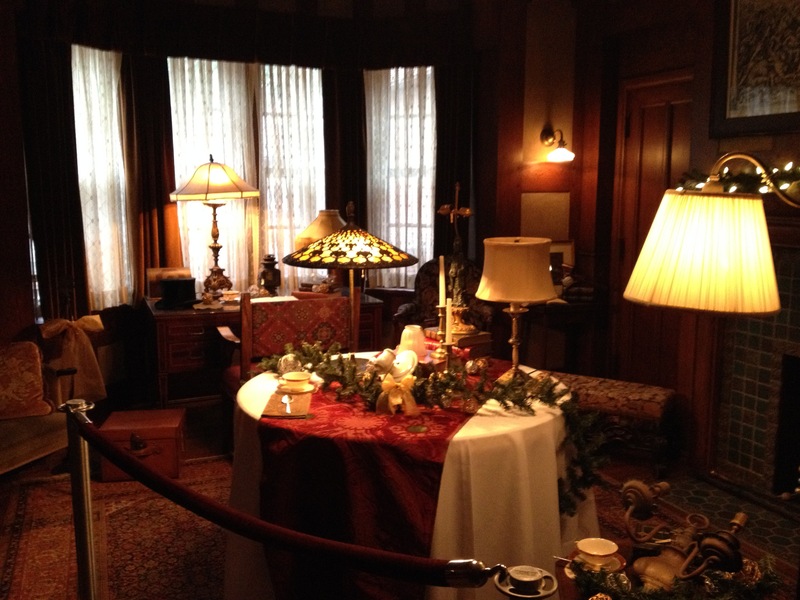 In 2013, the Cranbrook House and Gardens Auxiliary took action to restore the 1929 Steinway & Sons, Model D Concert Grand Piano currently housed in the West Wing Library of Cranbrook House. After traveling to the Steinway & Sons factory in New York, it underwent a nine-month restoration process which included a new sounding board, bridges, strings, and action components. The piano was returned this past June where it sat acclimating to the environment of the house after taking such an extensive trip and waiting to be played. This past Thursday, Hugh Gulledge, a registered piano technician put the finishing touches on the piano, tuning and voicing it for its official unveiling. 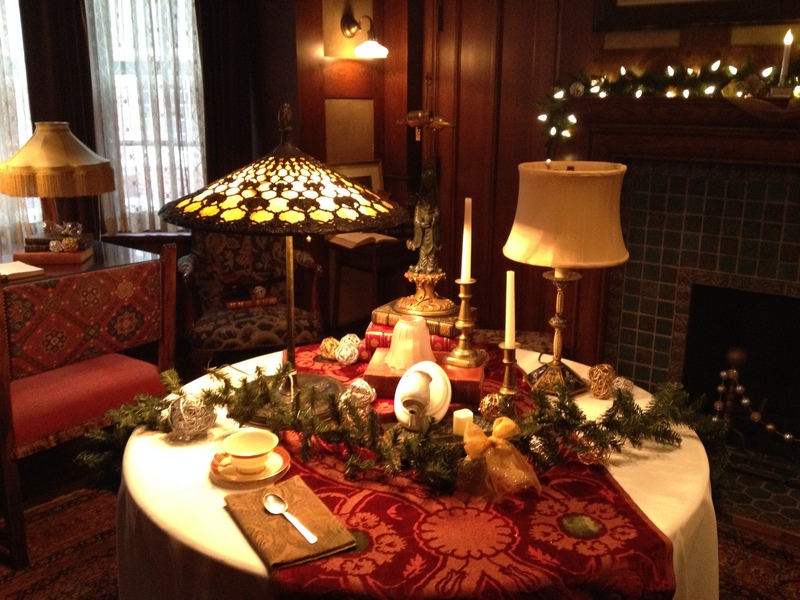 On Thursday, November 20, 2014 the Concert Grand will make its public, post-restoration debut at the Cranbrook House and Gardens Auxiliary’s annual fund raising event Holiday Tables 2014. The Army-Navy Nurse Memorial, 1938. Cranbrook Archives. Although there are many connections to Veteran’s Day within the Cranbrook community, the story I would like to share today is about a woman who left behind a Hollywood movie and stage career to serve her country. Frances Rich (1910-2007) enlisted in the United States Naval Reserve during World War II and left a lasting legacy for all who visit Arlington National Cemetery. The daughter of silent film star Irene Rich and the adopted daughter of naval officer Charles Rich, Frances was born in Spokane, WA in 1910. She received her bachelor’s degree in English Literature from Smith College in 1931. Between the years of 1932-1933, Rich appeared in six Hollywood films and one Broadway play. During this time she also became very interested in sculpture and started taking drawing, fresco painting, and clay carving classes in Paris, Rome, and Boston. While in Paris, Rich met the sculptress Malvina Hoffman (1885-1966) and studied with her for two years. Upon returning to the United States, she continued to hone her craft at the School of the Museum of Fine Arts in Boston. Between 1937-1940 she studied sculpture with Carl Milles at Cranbrook Academy of Art, whom she worked with for 18 years. In 1942, Rich enlisted in the U.S. Naval Reserve as a Lieutenant Jr. Grade. She served as the Special Assistant to Mildred McAfee (1900-1994), director of WAVES (Women Accepted for Voluntary Emergency Service). Prior to her enlistment, and while a student at Cranbrook, Rich sculpted the Army-Navy Nurse Memorial (1938). 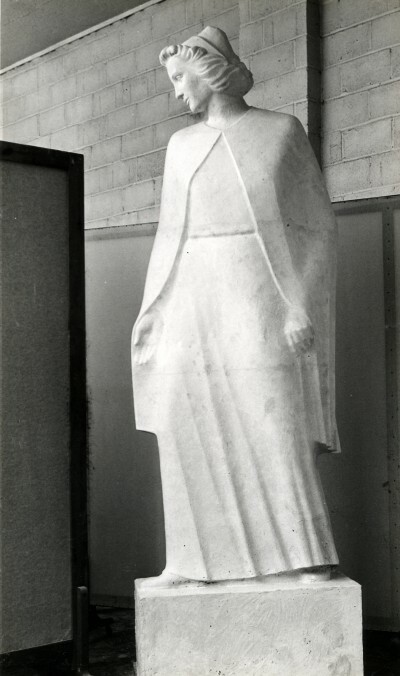 One of her best-known works, the 10-foot high statue was made from Tennessee marble and commemorated nurses who died during military service. The statue resides at Arlington National Cemetery and is often referred to as the “Spirit of Nursing” monument. 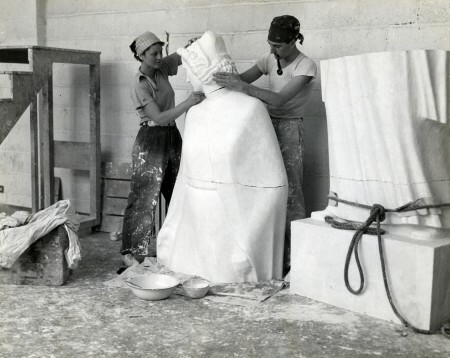 Frances Rich working on the Army-Navy Nurse Memorial at Cranbrook, 1938. Cranbrook Archives. Today, along with all of the men and women who have bravely served our country, we salute Frances Rich. Oriental Bridge, 1980. Balthazar Korab, photographer. Fall is probably my favorite time of year, and on the Cranbrook campus, there is no lack of beautiful spots to capture on film. Though taken nearly 25 years ago, this photo captures the beauty and serenity found all around us. Built before 1914, the bridge was originally called the Japanese bridge and was made of arched cypress. How do we know this? George Booth had meticulous inventories taken in the early days and every piece of wood, metal, and otherwise was accounted for! 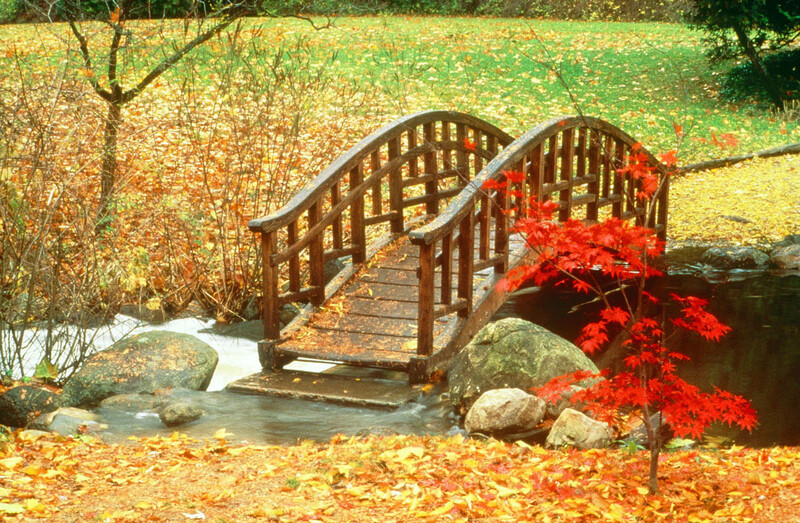 Now, the bridge, part of the Oriental Gardens and known as the Oriental bridge, is painted red and is one of the centerpieces of the gardens meticulously maintained by members of the Cranbrook House and Gardens Auxiliary. With the recent winds and rain, the leaves are fast falling from the trees and gracing us with a different set of vistas. Good-bye autumn leaves until next year. Dominick Vettraino at the wheel of Cranbrook’s Fire Truck, ca. 1936. Vettraino Family Papers, Cranbrook Archives. In honor of Election Day I wanted to feature Cranbrook and the polls! In 1958, Cranbrook’s Dominick Vettraino was elected as mayor of Bloomfield Hills, the first native born Bloomfield Hills resident to hold the position! Dominick Vettraino was the eldest son of Michael and Michaela Vettraino. Mike was grounds superintendent for Cranbrook from 1905-1955 and all of his children except Dominick were born at Cranbrook. Dominick started working with his father on the grounds when he was 16 years old, and after Mike’s retirement, took over the position of superintendent. 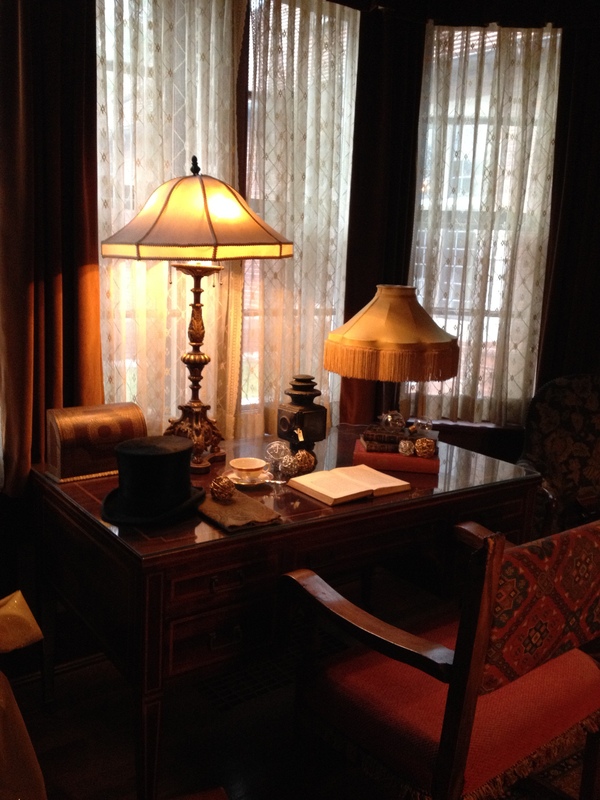 In addition, he contributed substantially to the surrounding community. After studying at the University of Michigan’s Fire School he was named chief of the Cranbrook Fire Department. 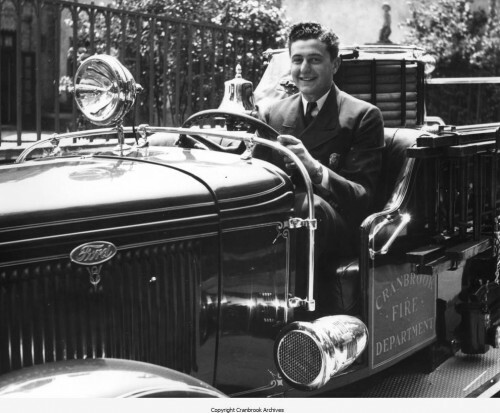 He and his brother John Vettraino converted a Ford chassis into Cranbrook’s first fire truck, and eventually Dominick served as the head of Cranbrook’s Police Department. After his many Cranbrook achievements he went on to serve the larger community of Bloomfield Hills.